Known as the recreation hub of the Town of Johnsburg, the Hamlet of North Creek has a rich history dating back to the early 19th century. Since its early years as a logging camp, the community has transformed into a four-season recreation destination featuring hotspots such as Gore Mountain, the North Creek Ski Bowl, and much more. The story of North Creek begins years before the hamlet formed. In 1788, John Thurman, a wealthy merchant from New York City, purchased 25,200 acres of state-owned land in the Southeastern Adirondacks. His goal was to clear the land and establish businesses in the area, and from 1790-1795, a grist mill, a saw mill, a distillery, and a woolen factory were constructed. In 1792, his vast property became a township named Thurman. A little over a decade later, Thurman was divided up, and the Town of Johnsburg was formed on April 6, 1805. Now on its own, Johnsburg's economy grew thanks to its large number of farms and the local logging industry. 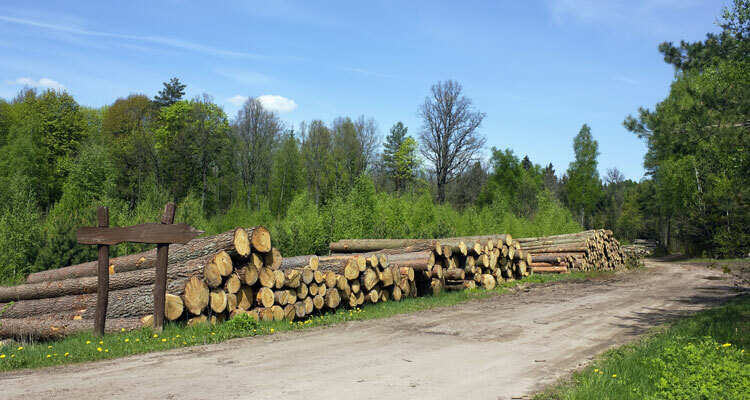 Starting in the early 1800s, logging became a popular way for locals to earn income. Logs were floated down the Hudson River, and the area featured multiple sawmills and wood manufacturing businesses. Around the 1840s and the 1850s, logging camps were set up in Johnsburg near the Hudson River for local workers and their horses. Combined, these wooden buildings would form the heart of new Hamlet of North Creek. Its name was derived from North Creek (a long body of water that extended out from the Hudson River). However, logging wasn't the only major industry in the region. In 1852, a large tannery was built in North Creek by Milton Sawyer and Wheeler Mead. According to the Town of Johnsburg Historian, up until the tannery's closure in the 1890s, it would turn out about 30,000 hides each year, which provided an economic boost to the community. In 1878, garnet was discovered at Gore Mountain in North Creek, and Henry Hudson Barton soon founded the Barton Mines Corporation. For over 100 years, raw garnet was mined at the site and then shipped away. This discovery coincided with the recent arrival of trains in the region. Dr. Thomas Durant, an American financier and railroad promoter for Union Pacific Railroad, saw potential in North Creek and believed the community could become a booming economic and recreation hub in the Adirondacks. He completed the Adirondack Railway from Saratoga to North Creek in 1871 and established the historic North Creek Railroad Station. The hamlet's new railroad connection would turn out to be extremely beneficial for the area. Local wood products, goods from the tannery, and raw garnet were all transported via train, which helped boost the trade industry. Of particular note, in September 1901, the North Creek Train Station played a major role in Teddy Roosevelt's midnight ride to the presidency. As the story goes, when Roosevelt was summoned by the ailing President McKinley, he began a 35-mile journey from Mt. Marcy to the train station. Upon arrival, he learned of McKinley's passing and prepared to become the next president of the United States. 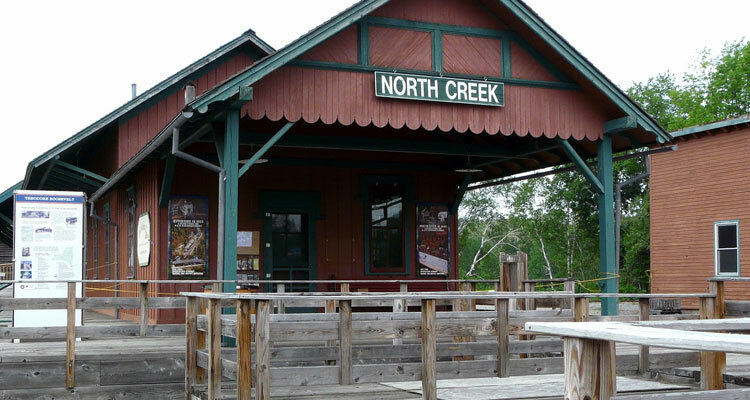 While North Creek's economy was a key part of its history throughout the 19th century, its transformation into a recreation hub began in the 20th century with the historic North Creek Ski Bowl. In 1932, Schenectady native Vincent Schaefer was inspired by the recent Winter Olympics to create a place where he and fellow skiers could enjoy the winter sport together. After exploring the Adirondacks, he decided North Creek was the best destination. After much planning and ski trail work, Schaefer's North Creek Ski Bowl opened in 1934 when the first ski train from Schenectady brought 378 skiers to the site. The Ski Bowl turned out to be very popular, and over the years, new developments would include a rope ski tow and new lifts. In the 1960s, New York State sought to further the recreational offerings in North Creek by creating their own ski resort - Gore Mountain. In 1964, Gore opened for business and featured downhill trails and three ski lifts. 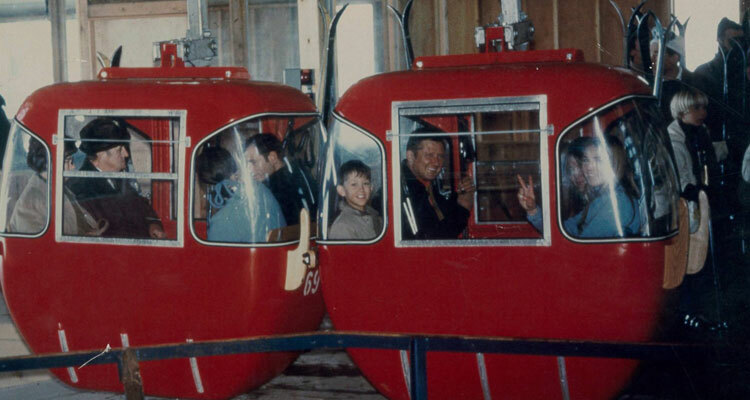 Soon after, the iconic old red gondola was installed, and the ski area would become the area's premier destination for visitors. On the other hand, the North Creek Ski Bowl struggled to remain open and faced multiple ownership issues. Eventually, the Town of Johnsburg took control of the site and kept it open on a limited basis in the late 1900s. 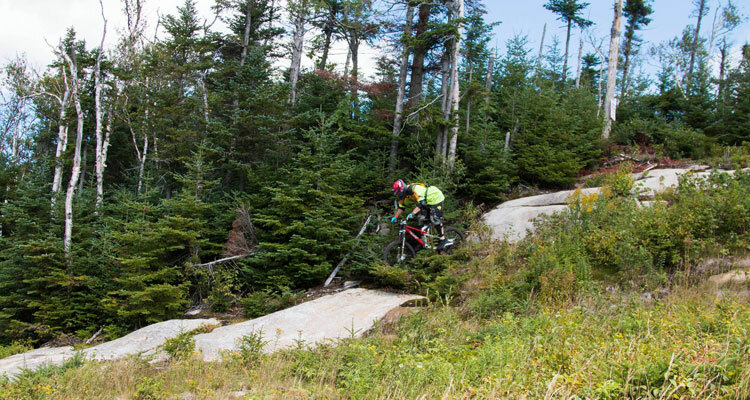 Around 2003, the Olympic Regional Development Authority (ORDA), also known as the managing organization of Gore Mountain, began to work with the Town of Johnsburg to revitalize the Ski Bowl with the goal of connecting the two properties. The project kicked off with the introduction of snow tubing at the Ski Bowl and then new trail work. In 2011, the installation of the "Hudson Chair" completed the groundbreaking Interconnect between the two recreational sites. Since its early years, a lot has changed in the Hamlet of North Creek. What was once a small farming and logging community is now one of the Adirondack Park's most popular destinations for visitors. After making your way to the hamlet, today you'll find the Tannery Pond Community Center, which hosts arts and cultural events, the North Creek Depot Museum, Garnet Mine Tours in the neighboring North River, the North Creek Ski Bowl, Gore Mountain, and other attractions. Not only that, but the community is full of places where you can make your Adirondack getaway. For example, The Alpine Lodge offers true rustic accommodations and The Inn on Gore Mountain is located right at the base of Gore. When you're ready to grab a bite to eat or drink, all you have to do is take a walk through North Creek. Some of the hamlet's hotspots include Basil & Wicks, barVino, The Barking Spider, and more. Whether it's spring, summer, fall, or winter, there are always reasons to visit and stay in the North Creek area. If you're looking for activities the whole family can enjoy, Gore Mountain is the place to be. While popularly known for their ski, snowboard, and cross-country trails, there are also a wide variety of recreational opportunities and events during the warmer seasons. During certain weekends and days in summer and fall, Gore offers hands-on workshops, downhill bike camps, and festivals. Or, for a little more freedom, you can go hiking or mountain biking on their trails, visit the outdoor Adventure Village, go mini-golfing, enjoy BBQ specialties at their Open Pit Grille, ride the gondola, and more. See for yourself what the region has to offer and plan a trip to North Creek!